A newly designed rotating and indexing gobo wheel offers a new selection of replaceable metal and dichroic gobos giving the Martin MAC 250 Krypton an original and fresh look. The 16-bit precision gobo wheel houses 7 slots plus open, and the new design makes gobo changes fast and easy. 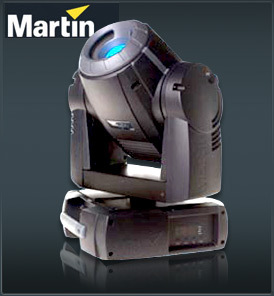 A bi-directional, 3-facet prism is smooth and rotates at variable speeds, adding unique effects to gobo projection. The prism can also be replaced giving lighting professionals an added customizable feature. The Martin MAC 250 Krypton is also equipped with a remote focus and various preset patterns.